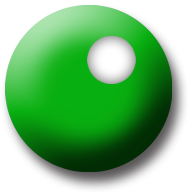 A feature selection of the Indianapolis International Film Festival, with an audience rating of 4.6 out of 5 stars! Santa Claus was, for most of us, our last connection to the realm of magic and innocence. They Wore the Red Suit is a documentary featuring the rare individuals who have devoted their lives to keeping that magic alive in the world by actually being Santa Claus 365 days a year. Features the history of Santa Claus,IN and the beloved Santa Jim Yellig of Santa Claus Land. Available in DVD or BluRay, both include bonus DVD of extra Santa Claus history and interviews. 100 minute feature. Click Add to Cart to add items to your shopping cart. When done, click View Cart to confirm and complete payment. PayPal and all major credit cards accepted. 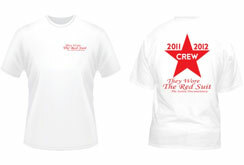 The official cast & crew shirts from the film They Wore the Red Suit are now available to all! These shirts were originally designed for the film crew and the Santas appearing in the movie. A unique commemorative of the first film to document the world of professional Santas. 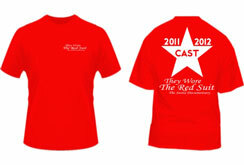 Choose Cast or Crew designs in sizes from adult S to 3XL. 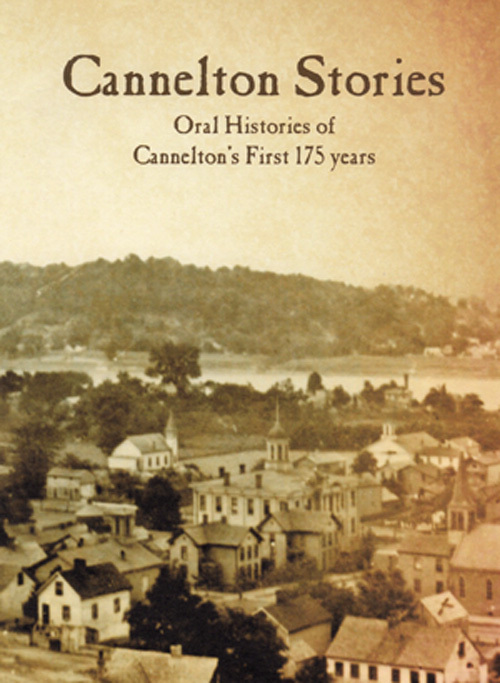 To celebrate Cannelton's 175th anniversary, we compiled a series of personal stories about some of the most memorable people, places and events that left a mark on Cannelton's history. First-hand stories of one of Indiana's oldest towns - from the Electra plane crash to the famous 5 girl basketball squad. We hope that these stories will endure and be told by future generations. Be part of the Beginning of the End of War. 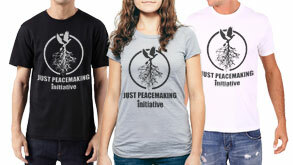 These beautiful and unique tees help raise funds for our current documentary, Just Peace, which introduces a new ethical paradigm for preventing war. Dr. Glen Stassen and local pastor, Rev. Paul "Chip" Jahn are featured in this film which depicts the use of Just Peacemaking in nuclear disarmament treaties, human rights struggles, and in particular, the Sri Lankan civil war - the deadliest war of our lifetimes. We know how special it is to live in Perry County, and this film introduced our unique quality of life to the world. Now beginning its third year of airing on PBS, The Art of Living is now available for order. A perfect gift for those who have moved away, or to entice someone to move back. 30 minutes. Proceeds from each purchase help fund the programs of the Perry County Quality of Life committee. A special Holiday offer: Get all three Perry County Homegrown films for one low price. 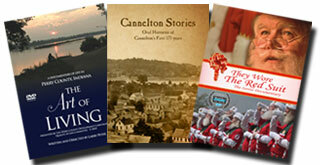 The Art of Living, Cannelton Stories, They Wore the Red Suit, plus the Santa Documentary bonus DVD. The Foster Child - a thrilling novel by local author Lawrence (Larry) Peter. Marian Foster is desperate to save her unborn child from a corporation that claims it as their creation. With the help of a tabloid reporter, she concocts a story of divine conception thats brings worldwide support to her cause. When her supporters turn to violence and are branded as terrorists, Marian becomes a wanted fugitive. As international conflicts point to nuclear war, and she's the only person who can prevent it, Marian must confront the fact that her child may truly be special. Orders will be shipped within 5 working days except in back order situations, of which you will be notified by e-mail. All orders ship USPS Priority Mail.